Many hackers worldwide in our time have a commitment to enhancing their proficiency in various hacking activities. On the other hand, every user of computer and mobile gadgets these days has geared up to secure their password in all the possible ways. If you understand how professional hackers steal password of someone else, then you can make a good decision and reduce possibilities of hacking on a regular basis. There are loads of tactics used to hack passwords as soon as possible. It is the right time to contact and consult with experts in techniques to protect password. As a beginner to the problem caused by password stolen by any hacker, you may think about how you have failed to protect the password and techniques used by hackers to steal your password. You have to understand and remember that professional hackers use hundreds of ways to steal overall credentials of others. Hacking techniques used by hackers become more sophisticated day after day. The following five methods are mostly used by hackers to successfully break into accounts of others in recent times. The majority of users of Internet in our time use the same username and password for all accounts. Qualified hackers run the best-in-class programs which usually enter the stolen username and password on various sites until the most suitable hit. They take advantage of this easy way to hack accounts of target people and make others vulnerable. Almost every user of the tablet, game console and Smartphone in our time is willing to access and engage in the public Wi-Fi. They do not know that their password could have already been hacked. 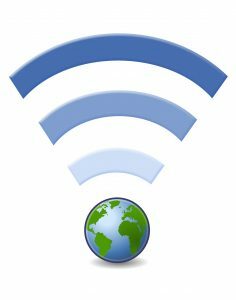 A Wi-Fi traffic monitoring is a leading attack used by hackers without enough proficiency in advanced hacking techniques. This is because this hacking involves a simple application designed to watch the overall traffic on the public Wi-Fi network. Hackers interpret the information soon after you have entered your username and password in the public Wi-Fi. 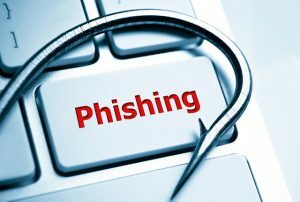 There are ever-increasing phishing attacks worldwide. All listeners to ads which look like legit nowadays click such ads and access the website of hackers without aware about risks. Hackers nab the tab of target people on the Internet and steal credentials of such people. This is worthwhile avoid sharing your bank account details, social insurance number and social media account details. Key logger attack takes place when people get and click the dodgy email along with ever-interesting attachments. Hackers steal every detail you type and achieve their goal. Do not click the link about the greeting and let hackers inject key loggers into the browser you currently use. 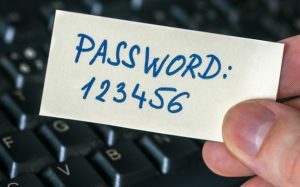 You may be one among people who like to keep the password simple due to an idea to remember and use such password without difficulty in any aspect. Hackers take advantage of this favourable issue and hack your account from the comfort of their place at any convenient time. They also use some tools and technologies to predict passwords and crack such passwords. You can overcome this difficulty when you use a long complicated password. You may be one among individuals who wish to protect your password in every possible way and reduce possibilities of hacking related problems. You have to understand and keep in mind that a week password is the main reason behind ever-increasing security risks to business people and professionals who keep important data in their account. Do not misunderstand that hackers only hack accounts of business people and rich. This is because hackers nowadays hack accounts of many people in the low and medium income categories without awareness about hacking. You can start a step now and minimize overall chances of how hackers access your online account. In general, a weak password is short and less than eight characters only in lower case letters. On the other hand, a strong password has minimum 11 characters long with a good combination of lower case and upper case letters, special characters and numbers. Professionals in advanced hacking nowadays use the most modern software in the fast computer to make 100 billion attempts every second to guess the password of target account. You can take note of the following suggestions and make your passwords secure in all the possible ways. Many men and women these days engage in the busy timetable and pay attention to the easiest ways to protect the password. They have to create a strong password and change the password every so often. Even though they experience some difficulties to remember password, they can get the maximum safety of their account and keep away from all problems of hacking. Users of social media these days share various details without aware about how these details lead to password hacking within a short period. They have to be conscious on what things they reveal in social networks and techniques used to protect the password. They have to understand leading sneaky ways hackers use to get their social account password. If they make sure about how they quit possibilities of mobile phone hacking, fake account phishing, phishing links, worms, third-party sign-ins and other sneaky ways mostly used by professionals in hacking, then they can make an informed decision and protect their password without delay. What are various suggestions to have a best drawing tablet?